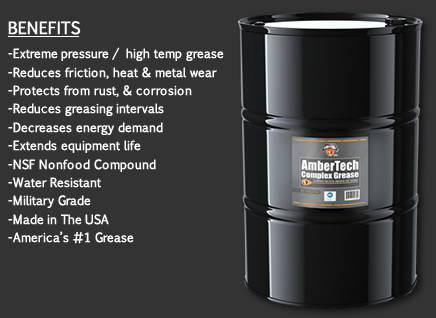 55 Gallon Extreme Pressure / High Temperature Military Grade Grease. Made in The USA. USDA Certified 99% BioBased grease that modifies metal at the molecular level. Creates a metal surface that is slicker, and smoother than any other lubricant available. Proven to reduces friction, heat, and metal wear. America's # 1 Grease! This item has a flat rate Ground Shipping of $195.00.